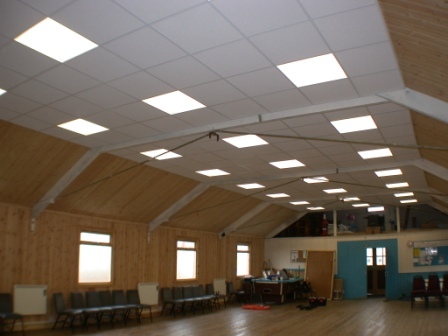 St Peters Church Hall is a large multi use function space with a hardwearing hardwood floor, stage area and fully working kitchen. It can be hired for events, parties and a variety of private functions. It was refurbished in 2005, along with St Peter’s itself and boasts large, new and clean toilet facilities, disabled access via a large permanent ramp and a small car park directly in front of the Hall itself. If you would like to hire St Peter’s Church Hall contact Sylvia Page on 02476392764. £8 per hour for all non-profit making user groups. £15 per hour for profit making user groups.